Transform your operations to seize opportunity and capture market share ahead of your competition. Grow your business as if your team were twice its size. ImplantBase gives you the ability to reduce chaos and boost productivity by improving efficiency, streamlining reporting, and reaping the benefits of automation. That means you’ll control headcount while focusing your team on what really matters to your growth potential: competition through innovation, efficiencies in production, and relationship-building that opens new doors. Maximize opportunity and growth by meeting demand in time—every time. As you rapidly grow, demand often outstrips supply. By allowing you unparalleled visibility into your production and inventory, ImplantBase helps you be more nimble in meeting current and future demand. As the Head of Finance for a fast-growing, innovative young manufacturer, you must steer the company to wise investment. Meeting current and future demand with product production is a priority. So is controlling headcount while maximizing efficiency. Your investments must yield rapid ROI. 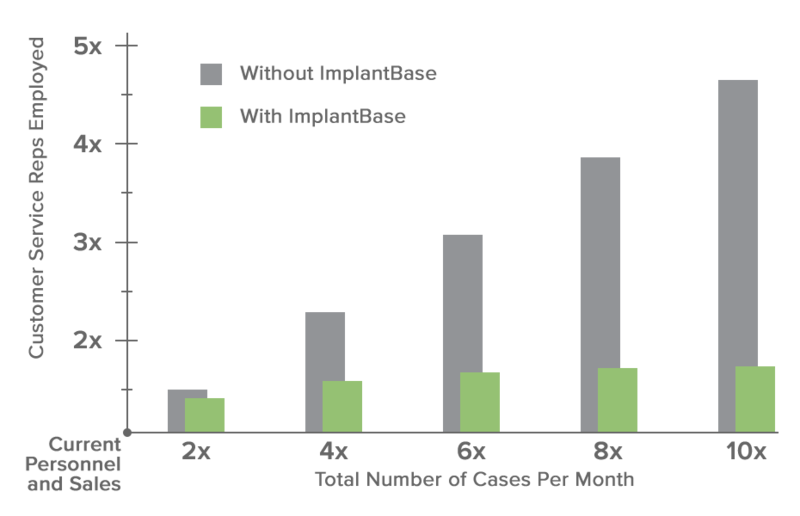 ImplantBase changes the game when it comes to growth. You’ll be able to grow sales and inventory order volume 5-8x before needing additional field support headcount. Control and plan ahead, clearly defining what, where, and when you’ll need to staff. Rapid growth means an expansion of your sales force, which generates more sales orders, more purchase orders, and more sales reporting. With that growth comes complexity, which burdens leadership and operations—and jeopardizes your effectiveness. ImplantBase gives you the reins of control. With them, you’ll have real-time visibility into upcoming cases, forecasts, sales, and inventory levels. By spending less time wrangling inventory, you’ll have more time to drive sales. 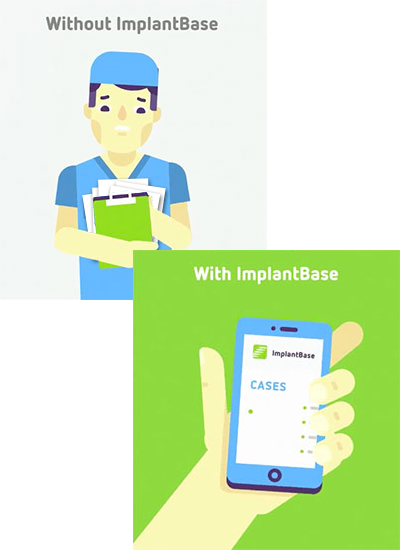 The ImplantBase platform helps transform your employees’ work for greater efficiency and coordination. 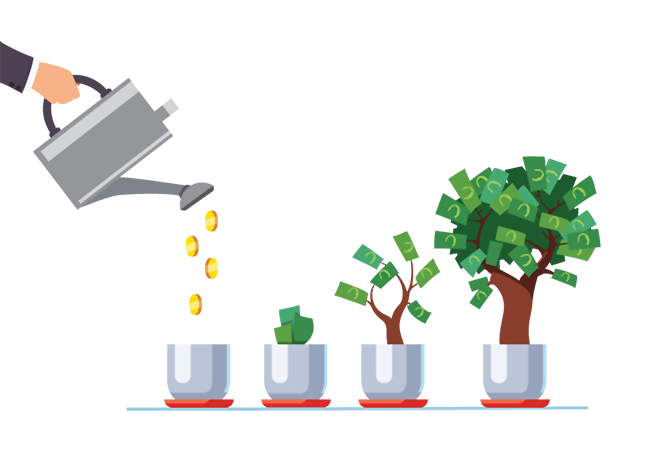 To contend with fast-paced growth, you’ve evolved an array of necessary but homegrown processes. 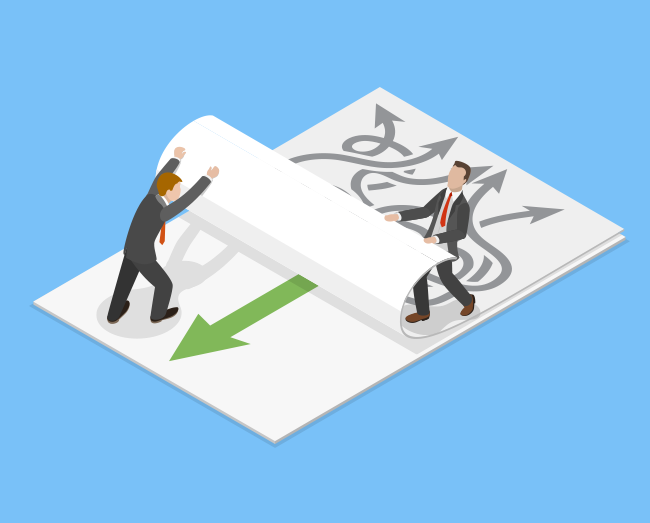 As a result, your team struggles with relatively tedious tasks, a lack of visibility into field inventory, and inefficient processes rife with the potential for errors. ImplantBase gives you and your team a different reality. Liberate your team from laborious work with more creative, higher-value contributions. 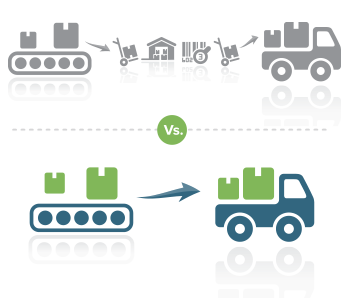 Boost efficiency and accuracy through automated, consistent processes. As part of the ImplantBase Community of users, you won’t go it alone—tap into the expertise of others who have conquered your struggles. With ImplantBase, you unify your team in pursuit of growth and innovation. ImplantBase has been a key component in helping Signature Orthopaedics USA achieve success as well as being the right foundation for future growth. It has been great to see constant improvements in operational efficiencies and cost savings as we continue our use of the software. Everyone from top to bottom has better insight into critical information which helps our team quickly respond to needs and make better business decisions. Work in ImplantBase and automatically create and update transactions in Quickbooks. Streamline invoicing and collections as well as purchasing and receiving. Know what you have, who holds it, and where it is to fully utilize your existing inventory and planned production.